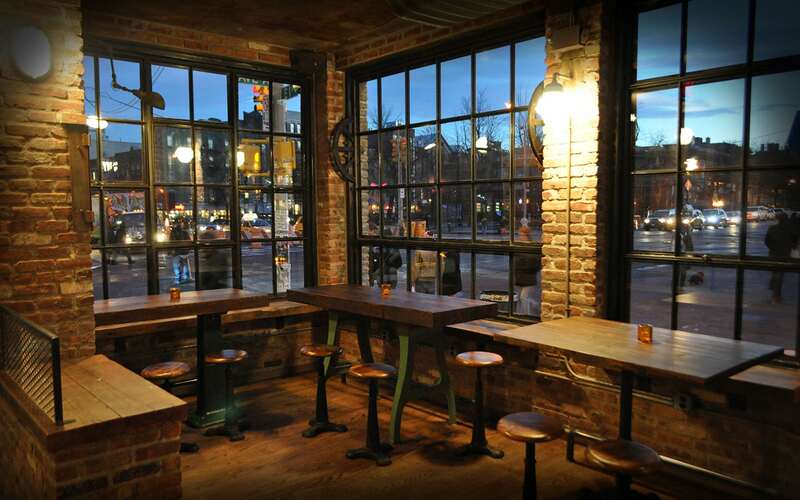 The Boulton & Watt restaurant in East Village, New York City, uses a patchwork of chicken wire glass textures in their exterior windows. 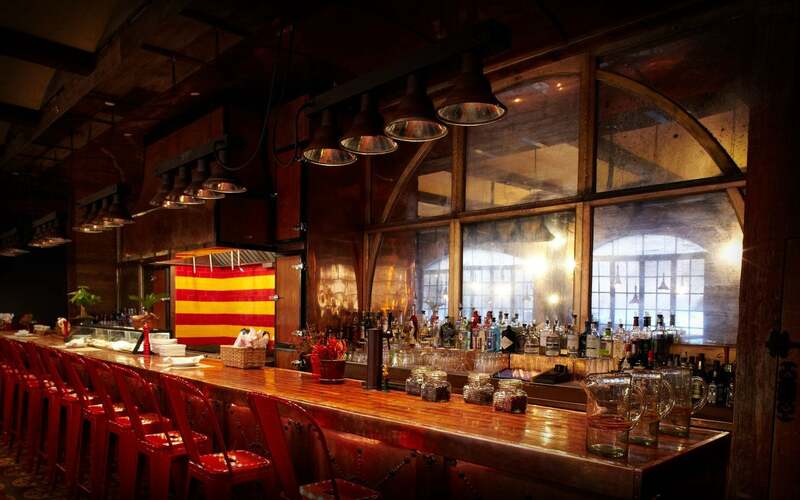 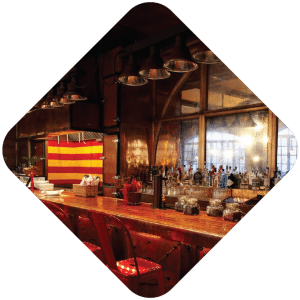 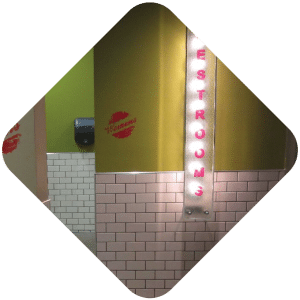 Cata Restaurant in Manhattan's Lower East Side uses antiqued mirror behind the bar to enhance a vintage industrial look. 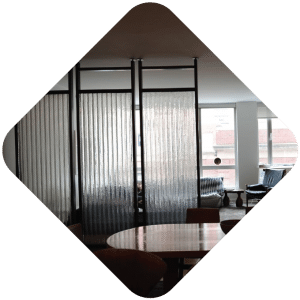 Steel frames were custom made to hold corrugated chicken wire glass as room dividers, in this private apartment in New York City. 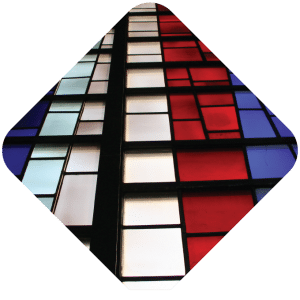 Impeccable old-time manufacturing quality and careful refurbishing of our salvaged glass counteract the toll of passing years. 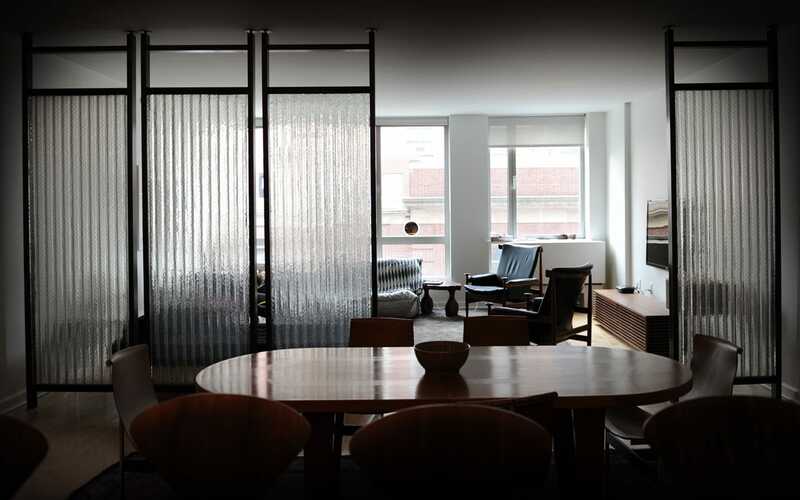 Every pane a portal to the past, the different processing styles of by-gone eras transfuse into present applications with just the right architectural statements.